I LOVE this photo, and wanted to do something cool with it. It didn’t turn out exactly like I envisioned, but I still think it’s pretty cool! 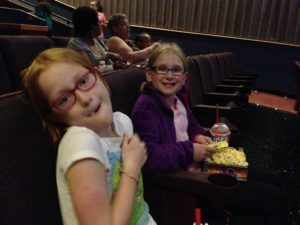 Carter and her BFF Alexis and I went to the Dolphin Tale 2 movie. Alexis and Carter may be long-lost twins! Crazy how similar they are to one another!